After reading “The U.S. plans to lift protections for gray wolves” (March 10), I believe that the future for the gray wolves is bleak. Part of the reason gray wolves are endangered is that they were hunted and poisoned as if they were pests. Allowing them to be hunted once again will most likely put them back on the endangered species list. 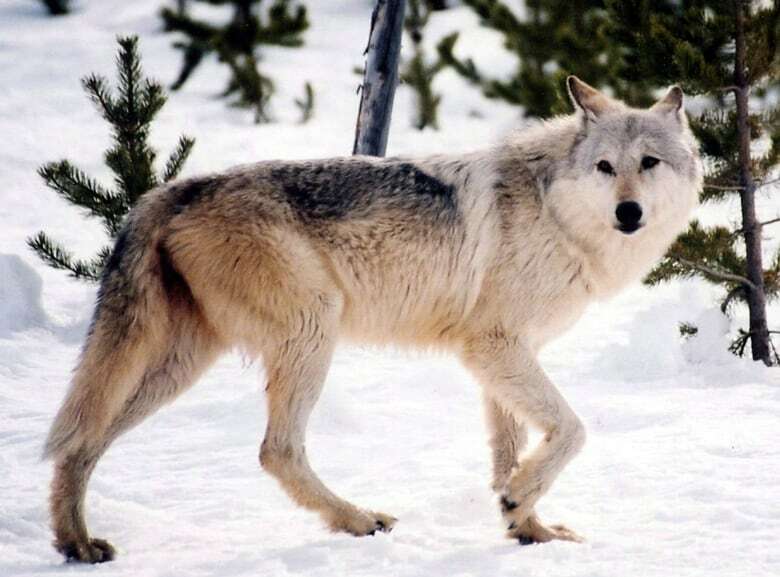 Wolves eat deer, which are pests across the U.S. If the number of wolves were to decrease, the number of pests would most certainly go up. Even though the wolf population has improved, it is still not functional enough to live completely unprotected in the wild. As a 12-year-old, I am concerned that many of the wonderful animals that are around now will not be when I am older. Truly when it comes to conservation, the impact of bad decisions can affect generations. “It’s go hard or go home,” said Rob Serrouya, a University of Alberta biologist and lead author of the study released Monday in the Proceedings of the National Academy of Sciences. Four herds vanished between 2004 and 2018. Keim said efforts could be focused on where they’d do the most good. He suggested that snowmobile trails could be designed to draw wolf packs away from caribou. It wouldn’t be that hard, he said. “These findings could be used by industry and government to prolong unsustainable forest exploitation while endlessly harming wildlife species,” she said. She urged governments to keep restoring habitat. Serrouya said drastic measures will be needed into the foreseeable future. It was described in 2016 as the first mammalian extinction caused by human-induced climate change. Now the eradication of the Bramble Cay melomys has been officially recognised by Australia, its only known home. 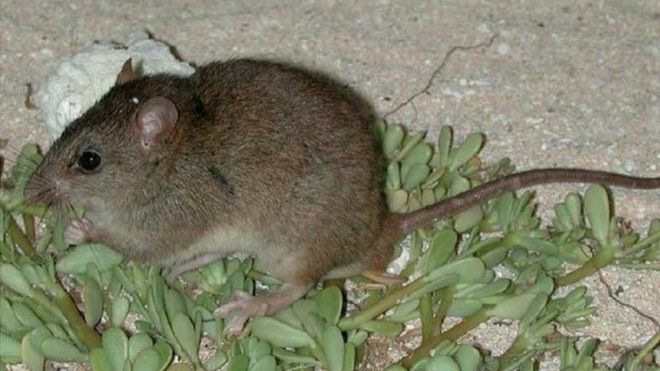 The rodent lived solely on a tiny sand island in the Torres Strait, near the coast of Papua New Guinea (PNG). The species has not been seen since 2009. 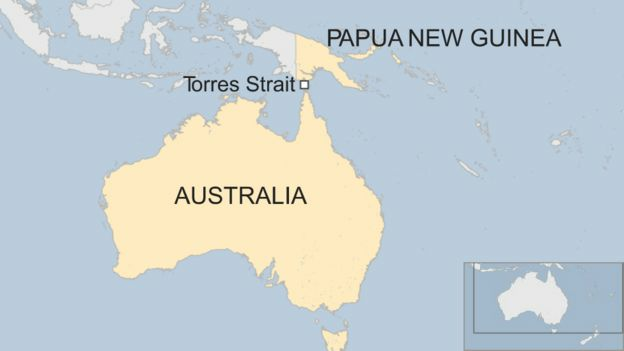 Scientists say there is a chance that an identical or similar species could yet be discovered in PNG. But they’re uncertain because PNG’s nearby Key River region has been little documented by research. The Australian government’s decision to list the species as extinct comes after the Queensland state government made an identical determination in 2016. 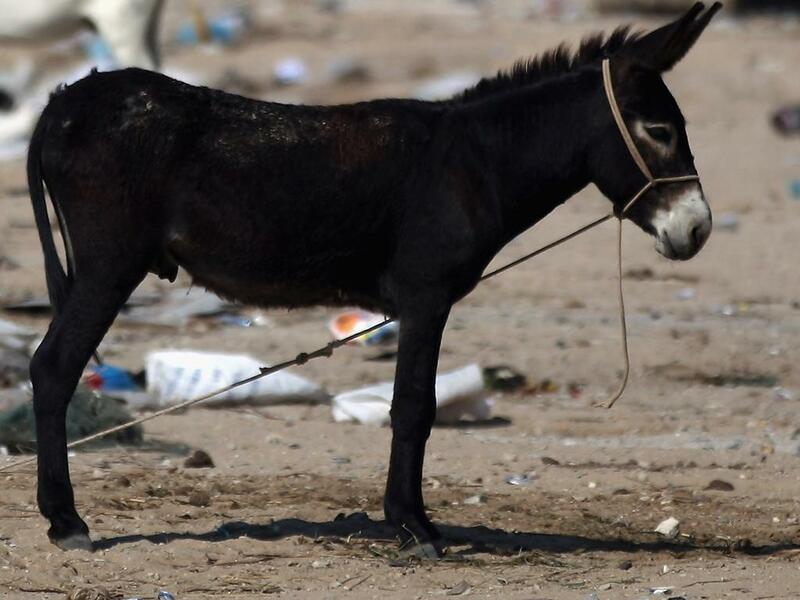 The loss of an animal that was hardly known in the public mind has generated sadness in Australia and abroad. The Sydney Morning Herald reported that Australian scientists had found no trace of the animal in recent surveys of Bramble Cay, an island of just five hectares. A 2008 “recovery plan” had downplayed the risks to its survival, the newspaper reported. 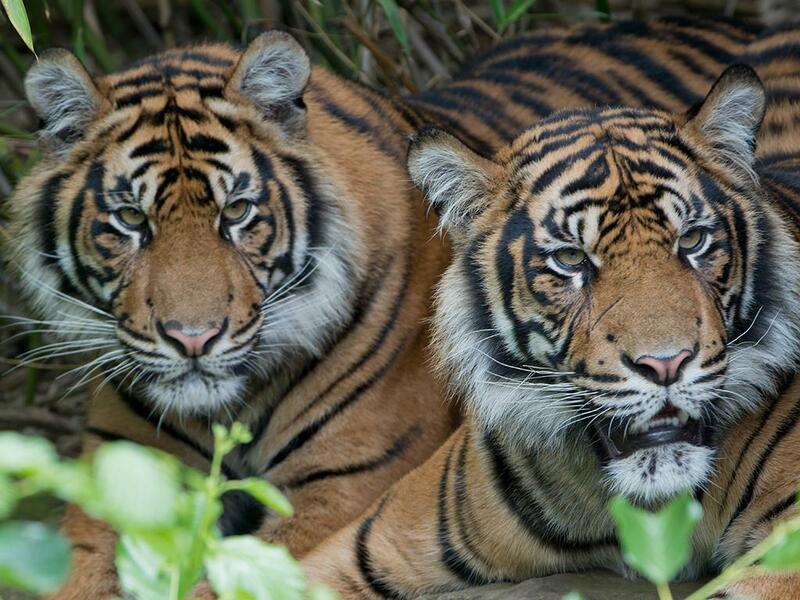 What are the most endangered animals? The current government, in office since 2013, has frequently defended its environmental efforts – citing a A$425m (£233m; $300m) investment in threatened species programmes, among other efforts. But it has also been heavily criticised by conservation groups for not providing greater funding, or additional policies. Australia is rare among developed countries because it is described as mega-diverse, but experts warn that biodiversity is under threat from environmental upheaval. The nation is not on track to meet its commitment of reducing emissions by 26-28% on 2005 levels by 2030, according to the most recent government data. How do we decide how endangered a species is? Are they all living in one area – and therefore more likely to be wiped out by a single cause – or are they geographically spread out? How long is their reproductive cycle and so how quickly could their population recover if there were enough breeding pairs? What are the range of threats they face? How genetically diverse is the population? How threatened is their habitat? The Big Bang marks the starting gun of the greatest race of all time i.e. between gravity and the expansion rate. 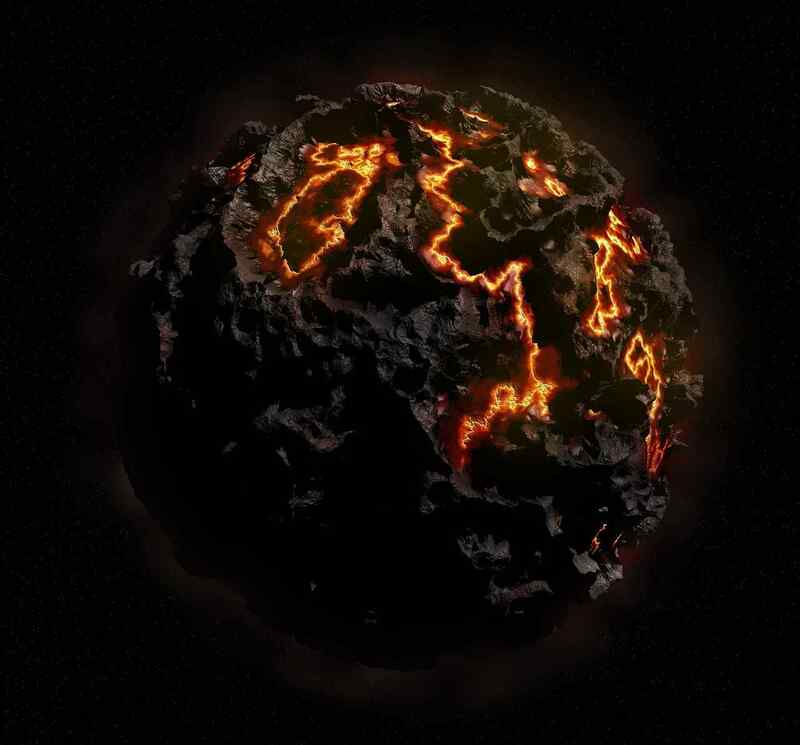 It began some 13.8 billion years ago from a hot, dense, rapidly expanding state. As it is indeed true that our universe is expanding despite gravity. This shows that a more powerful force must be acting on the universe besides gravity. Astrophysicists have named it as the Dark energy. Dark energy is invisible, but it is based on how fast everything is expanding. Scientists believe that it exists everywhere in space and could make up almost 70% of the universe. According to astronomers, the Sun’s luminosity increases by about 6% every billion years. If Astrophysicists theory about dark energy proved to be wrong then gravity would eventually become the most powerful force in the universe. If this happens then after trillions of years, the rate at which the universe is expanding would decrease and it would start to shrink. Galaxies would crash and merge as the universe starts collapsing on itself. Everything would converge into one mega black hole containing the entire universe, which the scientists have termed as the big crunch-moment. The big rip will start once the pull of the universe’s expansion gets stronger than the gravity holding the galaxies together. Galaxies would tear apart, then the smaller black holes, and finally the planets and the stars. Space will start expanding faster than the speed of light. The entire universe would become a void of single particles isolated from everything around them and then drifting aimlessly in a timeless universe. Also termed as the ‘Heat Death’ or the ‘Big Chill’. In this scenario, the universe is believed to be expanding at an ever-increasing speed. As this happens, the heat is dispersed throughout space, due to which galaxies, stars, and planets are all pulled farther and farther from one another. Eventually, planets, stars, and galaxies would be pulled so far apart that the stars would eventually lose access to raw material needed for their formation. And thus, the lights would go out for good inevitably. This will continue to get colder and colder until the temperature in the entire universe reaches to absolute zero. At absolute zero, all movement would stop and nothing will exist in such a case. This is the point at which the universe would reach a state what the scientists have termed as ‘A maximum state of entropy’. Many scientists believe this is one of the most probable scenarios. Earth is losing biodiversity at a rate seen only during mass extinctions. But we can reverse that decline – if we act now. So says a report from WWF, showing that global populations of vertebrate species have declined by 60 per cent on average in less than 50 years. This global Living Planet Report is the 12th of its kind, each one documenting deepening wildlife losses and sounding the alarm about the devastating impacts of human development and consumption on wildlife, forests, oceans, rivers and climate. Canadian wildlife are not exempt from this biodiversity crisis. WWF’s recent Living Planet Report Canada found that half of the wildlife species in Canada are declining, and of those, the decline is 83 per cent. Protected at-risk species haven’t shown signs of improvement either, the report finds. Speak up as a citizen and as a consumer – use your voice and choices to encourage businesses and governments to shift to sustainable policies and practices for wildlife, protected areas and climate change. Help wildlife where you live. Be a wildlifer. Calculate your personal consumption footprint, then work to reduce it. Be a champion for wildlife at work or on campus. Governments should do everything in their power to protect our most vulnerable species. To date, governments have hesitated to use many of the legal tools at their disposal under the Species at Risk Act – leading to deaths among especially vulnerable species like southern resident killer whales. WWF-Canada and other conservation groups have launched a lawsuit against federal ministers for failing to recommend an emergency order to protect these whales. New protected areas should properly protect species. New research has shown that protected areas can do so much more to safeguard the future of wildlife – if we prioritize creating them in the places where the highest number of at-risk species live. To best benefit biodiversity, Canada needs high-quality networks of protected areas that help the most wildlife. Get on track with actions to stop climate change. Canada is currently on a path for 3 C to 4 C warming, and recent regressive provincial climate change policy decisions are sending us in the wrong direction. Any overshoot of our 1.5 C target will be catastrophic for nature, wildlife and vulnerable communities. Among other things, WWF-Canada is asking governments to immediately transition fossil fuel subsidies to support habitat-friendly renewable energy development, update the Impact Assessment Act to ensure new developments are evaluated within a strict carbon budget, and focus on restoring and protecting forests, wetlands and seagrass meadows to create carbon sinks. Decades of documented declines show us that we won’t see wildlife recovery unless we all make it a priority – in all facets of our lives. As a society, our decisions about land use, energy, fuel, pollution and consumption together determine which species get a fighting chance and which wildlife get left behind. Let’s put the brakes on biodiversity loss, and stop this mass extinction before it happens. Global wildlife populations have fallen by 60 percent since 1970, and koalas are declining at an even faster rate. The World Wildlife Fund (WWF) released the Living Planet Report 2018 on Tuesday, Oct. 30, which reveals the decline in worldwide species. The report is a comprehensive study of the health of the planet and the impacts of humans on nature. The report indicates that global populations have declined by 60 percent on average in just over 40 years, a rate of 13.6 percent per decade. Meanwhile, koalas in eastern Australia are declining at a rate of 21 percent per decade. WWF-Australia estimates there are less than 20,000 koalas left in New South Wales (NSW). At the current rate, koalas are on track to be extinct in the state by 2050, WWF-Australia conservationist Dr. Stuart Blanch said. The shrinking koala number is largely explained by deforestation and fragmentation, as Eastern Australia is named as one of the 11 global deforestation fronts. Australia is the only developed country on the list. Clearing for livestock is listed as the primary cause of Eastern Australia’s forest loss with unsustainable logging as a secondary cause. Koalas have very specific dietary requirements, relying almost exclusively on eucalyptus tree leaves for food and water. “When those trees are cleared, koalas are killed when the trees fall down or when they are crushed by bulldozers,” Blanch said. How would a species’ extinction impact the food web, our ecosystems? They also die when they are forced onto the ground to find new habitat, because they become vulnerable to attacks by dogs and collisions with vehicles. They also become stressed, and thus become more susceptible to contracting diseases like Chlamydia. Satellite imagery shows a massive spike in the destruction of NWS koala forests, with the rate of tree clearing tripling in the state’s north since the axing of the NSW Native Vegetation Act in August 2017. The removal of laws protecting koala forests led to the bulldozing of more than 5,000 hectares of koala habitat in the NSW districts of Moree and Collarenebri at a rate of about 14 football fields a day, a report by WWF-Australia and the NSW Nature Conservation Council found. The Moree-Collarenebri region is already extensively cleared, with only 6 percent of the study area has forest remaining. The report was released on Friday, Sept. 7, which is National Threatened Species Day. The koala is designated as vulnerable to extinction under commonwealth and state law. “We are releasing this report on National Threatened Species Day to highlight that the destruction of koala habitat is accelerating in NSW and to call on the government to urgently strengthen the laws to ensure koalas and other threatened native animals are given the protections they need,” Blanch said. The report’s satellite imagery analysis confirms the dire predictions of the government’s own advisors, who warned the new laws would permit bulldozing of 99 percent of all identified koala habitat on private land in the state, Nature Conservation Council CEO Kate Smolski said in the press release. The plight of koalas is matched by alarming declines for many other uniquely Australian species who are losing their forest homes, WWF-Australia CEO Dermot O’Gorman said in the WWF press release. The habitat for approximately 247 native species may have been destroyed in 2017-18, including habitat for nine species of National Environmental Significance. “It is a wakeup call for our east coast to appear alongside notorious forest destruction hotspots such as the Amazon, Congo Basin, Sumatra and Borneo,” O’Gorman said. O’Gorman said in the press release that the NSW government needs to reverse its recent axing of laws due to its impact on koalas. “Buying land is welcome but will only save a fraction of koala habitat – stronger forest protection laws are crucial,” O’Gorman said. The report concludes that repeal of the NSW Native Vegetation Act in August 2017 was likely the major reason behind the dramatic surge in forest and woodland destruction in this known clearing hotspot. In order to protect these endangered species, the government must pass stronger laws to protect trees, as trees provide a home to koalas and other endangered species, Blanch said. “We have to stop this excessive tree-clearing if we want to keep koalas alive in the wild for future generations,” Blanch said. There needs to be much larger networks of protected areas to provide sanctuaries for koalas. “The world must also rapidly cut greenhouse gas emissions as koalas are already becoming extinct in the hotter and drier inland parts of the state. Koalas are retreating towards the coast and uplands to escape climate change impacts,” Blanch said. WWF-Australia and the Nature Conservation Council have launched petitions to call on both sides of government to take action to protect koalas in NSW for future generations. Canadian laws designed to protect wildlife species at risk of extinction and rebuild their populations are failing to stop those animals from vanishing faster than ever, a new report shows. 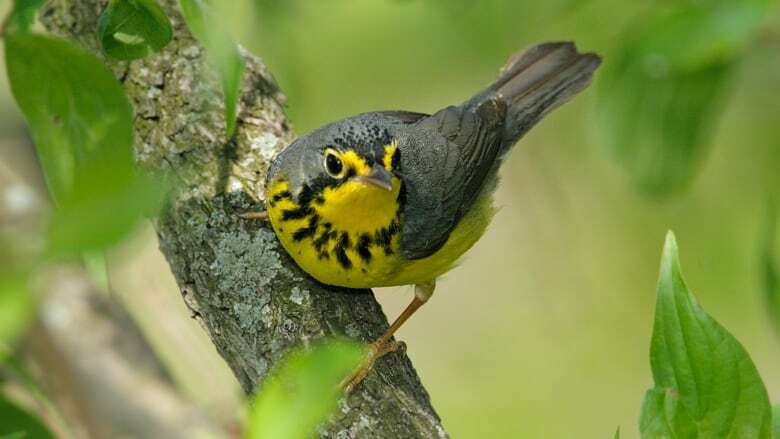 The Living Planet Report Canada released Thursday by World Wildlife Fund Canada shows that 87 species vulnerable enough to be given protection under Canada’s Species at Risk Act (SARA), such as woodland caribou, southern resident killer whales, and Canada warblers, declined by an average of 63 per cent between 1970 and 2014. And their average rate of decline has increased since SARA was enacted in 2002. “What we don’t know is how bad would wildlife populations be doing if that act wasn’t in place,” says James Snider, vice-president of scientific research and innovation for the conservation group lead author of the report. Why has SARA been so ineffective at stopping the loss of endangered species, let alone helping them recover? Researchers say the problem isn’t the legislation itself, but the way it’s been implemented by the federal government. “Just because you have a piece of legislation doesn’t mean that you’re going to have action on the ground and in the water and that’s what ultimately matters,” says C. Scott Findlay, a biology professor at the University of Ottawa who has studied Canada’s Species at Risk Act. Delays in every step of the process. 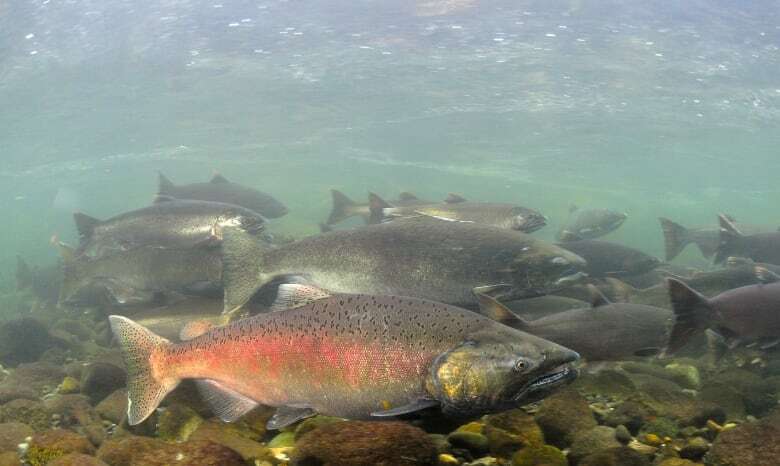 Withholding of protection for some species, such as Atlantic cod or or West Coast chinook and sockeye salmon populations, due to economic interests. Some researchers say the fact that the provinces and territories — not the federal government — have jurisdiction over most of the habitats where endangered and threatened species live is also an issue. In order for a species to be federally protected, a science-based recommendation is needed from the biologists on the Committee on the Status of Endangered Wildlife in Canada (COSEWIC). Then the federal government must decide whether to take that recommendation and actually list a species under SARA, giving it protection — something that can take a long time. 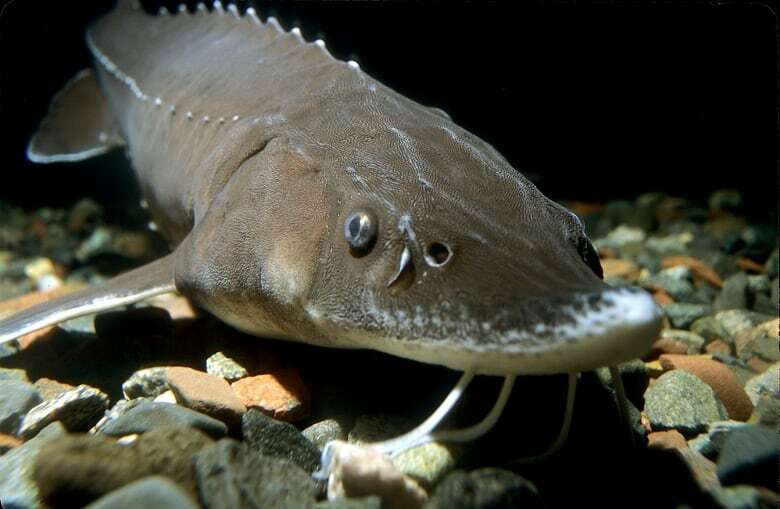 For example, COSEWIC recommended listing eight populations of lake sturgeon in 2007, but as of this summer, the federal government has not made a listing decision. Findlay notes that no listing decisions were made between 2011 and 2015 (except for the emergency listing of three bats requested by the Nova Scotia government) under Stephen Harper’s Conservative government and by the end of 2015 there was a backlog of about 150 species recommended for listing. Jonathan Wilkinson, parliamentary secretary for Environment Minister Catherine McKenna, told CBC News the current Liberal government is committed to clearing that backlog within three years. It has already listed more than two dozen since being elected in 2015. But the situation shows the implementation of SARA, as with other laws, “is a matter of the enthusiasm of governments to proceed with whatever it is that the legislation stipulates,” Findlay says. And the current government claims to be more enthusiastic than the last when it comes to conservation. “At the end of the day, this government believes that protecting biodiversity is important,” Wilkinson said. In the past, the federal government hasn’t gone with scientists’ recommendation. The WWF report cites a 2015 study that found of 65 species of fish recommended for protection; only 12 have been listed since 2003. The government decided not to list certain populations of Atlantic cod, Atlantic bluefin tuna and B.C. chinook and sockeye salmon. SARA listing means the fish can’t be commercially harvested at all, and economic concerns have been suggested as reasons for the decisions. “SARA to date has largely failed for marine fishes,” said Julia Baum, a University of Victoria marine biologist who co-authored the fish study. Even after a species is listed, there are often further delays before action is taken. For example,boreal populations of the woodland caribou were listed under SARA as threatened in 2003, but their recovery strategy wasn’t released until 2012 and action plans from most provinces and territories aren’t due until the end of this year. Philip McLoughlin, a population biologist at the University of Saskatchewan who studies a number of large mammal populations including woodland caribou in northern Saskatchewan, says the delays aren’t “by design” — it’s just that wildlife populations can be complicated. For example, woodland caribou range across the country, and the threats they face vary with location. In northern Saskatchewan, their main threat is wildfires. In Alberta, McLoughlin says, climate change and industrial development have helped white-tailed deer invade woodland caribou habitat, bringing with them deadly predators like wolves. The WWF recommends that SARA would be more effective if the government focused more on protecting ecosystems where endangered species live rather than individual species. Snider said there are already some examples where this has been effective, such as a recovery strategy that covers a number of grassland species in the Prairies such as the sage grouse, blackfooted ferret and the swift fox. Wilkinson suggests we can expect more of that in the future from the current government. But the researchers also say we can’t rely on SARA and the federal government alone to protect our at-risk species. Most of the habitats where wildlife live are under provincial and territorial jurisdiction, Findlay says. “The vast majority of activities that pose threats — agriculture, mining forestry, hydroelectric dams, all of these things are under provincial jurisdiction,” he adds. McLoughlin says part of the problem is the provincial and territorial wildlife acts that parallel SARA don’t have enough teeth. Findlay says SARA does have a “safety net” clause that would force the provinces to protect SARA-listed species, but in the 15 years since SARA was enacted, it’s never been used. 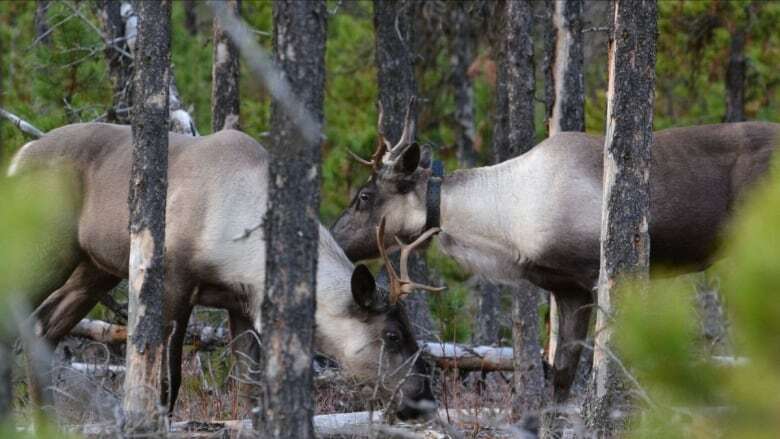 Wilkinson says the federal government is already working more closely with the provinces on species at risk files and has boosted staffing to help with the woodland caribou action plans. 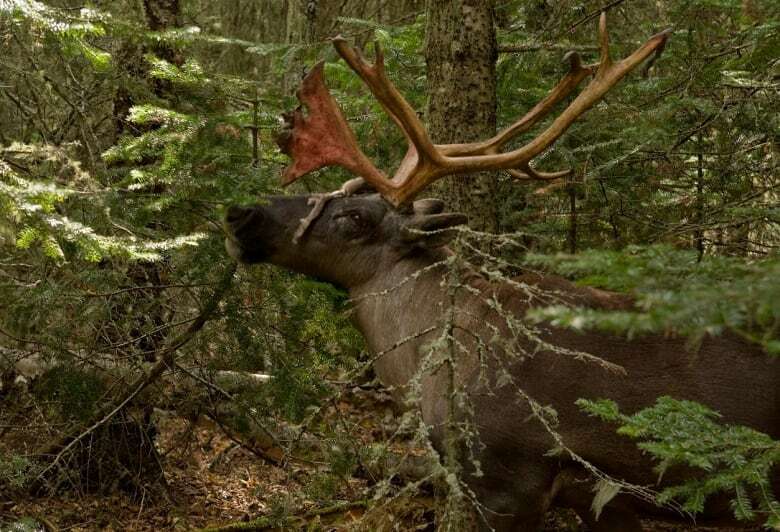 “We’re working actively with every province that has a boreal caribou population on a very active basis as we move towards this fall,” he said. 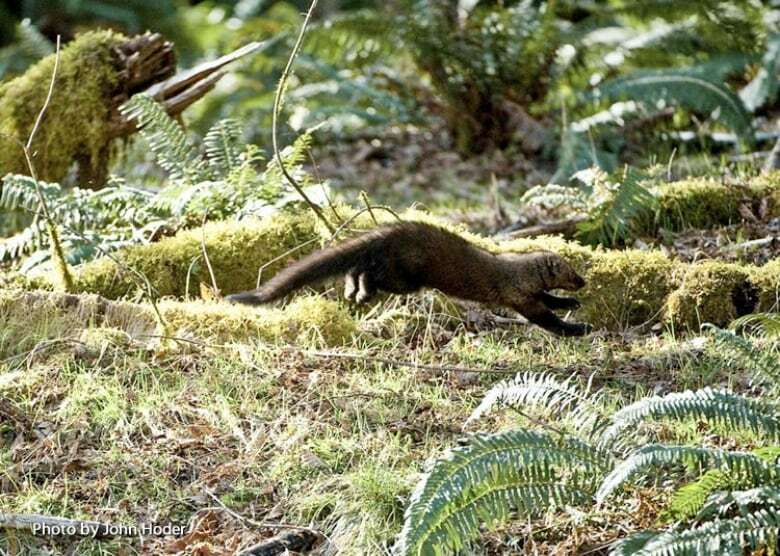 A weasel-like predator that disappeared from Washington state decades ago will soon be reintroduced to the Cascade Mountains. The dark brown forest-dwelling mammals historically were found throughout much of the forested areas of the state. But they declined in numbers due to overtrapping in the 1800s and early 1900s, and the loss of forest habitats. Fishers are believed to have disappeared from the state in the mid-1900s. “We have a chance to correct a thing that we didn’t manage correctly a long time ago. We can restore a species.” – Jeffrey Lewis, a WDFW wildlife biologist. 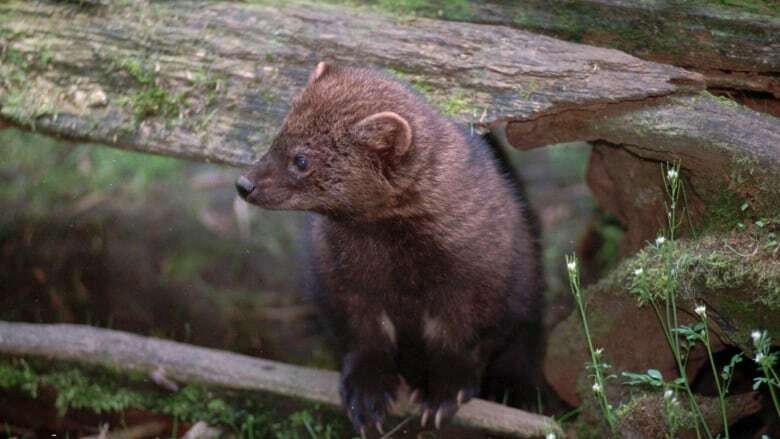 In coming weeks, a team of wildlife officials will take fishers captured from British Columbia and relocate them to the southwest Cascades, including Mount Rainier National Park and Gifford Pinchot National Forest. The plan is to reintroduce 40 fishers a year for two years. If all goes well, officials will begin relocating additional fishers to the northwest Cascades, as early as fall 2017. Each region would get 80 animals, for a total of 160. The Washington Department of Fish and Wildlife, the National Park Service, Conservation Northwest and others are leading the effort. “We have a chance to correct a thing that we didn’t manage correctly a long time ago. We can restore a species,” said Jeffrey Lewis, a WDFW wildlife biologist. The first fisher reintroduction in the state was done in Olympic National Park in 2008. About 90 fishers were reintroduced over several years, and those animals have successfully reproduced. Last May, park officials approved a plan to partner with the state to re-establish the fisher to the two national parks. The goal is to rebuild the population so fishers can survive and reproduce on their own, as well as to improve the ecosystem. “When biodiversity is lost from an ecosystem, that system is less able to withstand change and can become less resilient,” said Tara Chestnut, a Mount Rainier park ecologist. Fishers belong to a family that includes weasels, mink and otters. They eat small mammals, including snowshoe hares, mountain beavers and porcupines, are found only in North America, in low-to-mid elevation canopy forests. The state is getting animals from British Columbia because they are closely related to fishers that were historically in Washington, and it’s a healthy population close to the state, Chestnut said. Trapping season began Nov. 1 in British Columbia. Chestnut, Lewis and others are waiting for enough fishers to be captured before travelling north to bring the animals back. The fishers will be examined to make sure they’re healthy and disease-free, and they’ll be equipped with radio transmitters so biologists can track them for about two years. “We will put them in the centre of a lot of good habitat,” Lewis said. The first 25 fishers will be relocated in national forest south of Mount Rainier with the final 15 animals to be released within the park. The goal is to relocate them in late fall or early winter to give females time to establish dens. Fishers were listed by the state as an endangered species in 1998. The U.S. Fish and Wildlife Service last fall proposed listing the West Coast population of fishers as a threatened species under the federal Endangered Species Act. Almost every species of lemur is at risk of extinction, making it the world’s most endangered primate, scientists have warned. The destruction of their tropical forest habitat in Madagascar, caused by illegal tree logging, charcoal production and mining, is the chief cause. But the round-eyed primates are also being increasingly hunted by humans for restaurant food. And some are captured for the pet trade. More than 100 types of lemur – 95 per cent of all known the species and subspecies – are likely to be critically endangered, endangered, or vulnerable to extinction in the wild, the conservationists believe. 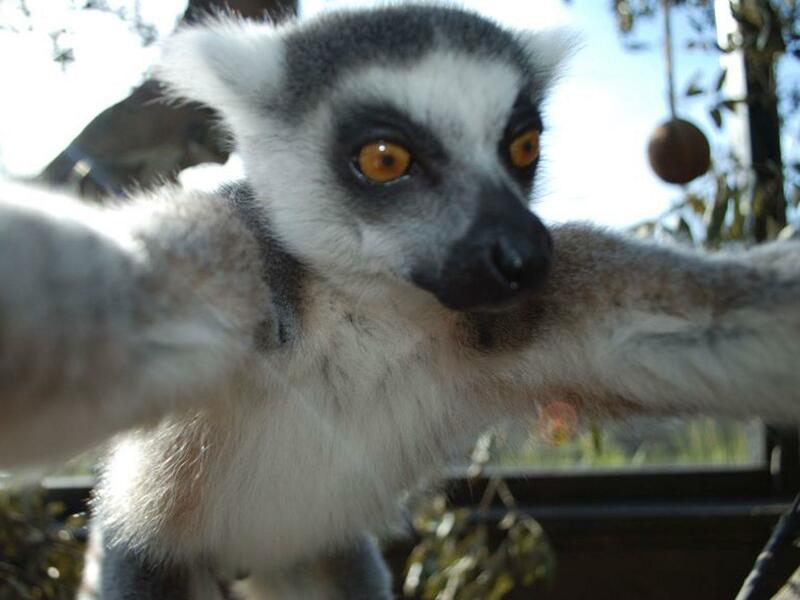 Dozens of experts in primate conservation from around the world have reviewed the conservation status of the 111 species and subspecies of lemurs, all native to Madagascar, and provide updated assessments for the IUCN Red List of extinctions. 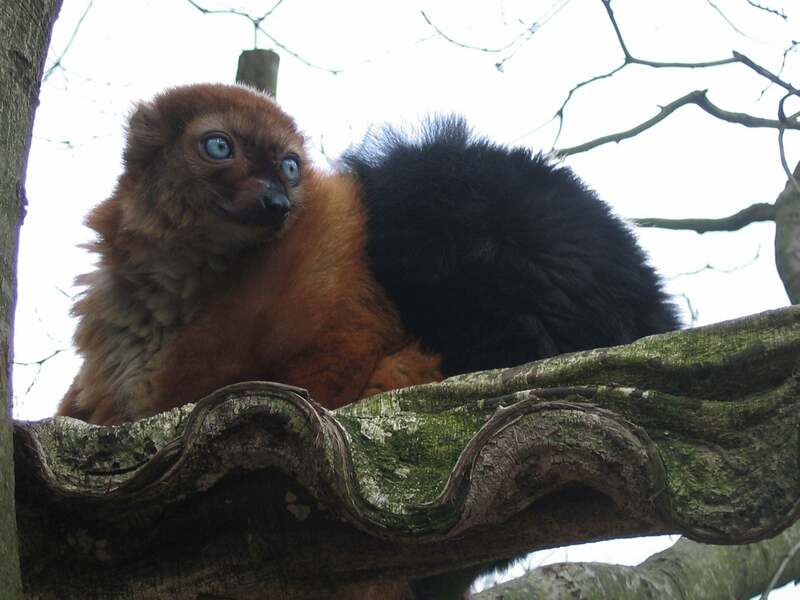 Russ Mittermeier, from the charity Global Wildlife Conservation, said the group’s findings highlighted “the very high extinction risk to Madagascar’s unique lemurs” and was “indicative of the grave threats to Madagascar biodiversity as a whole”. “This is, without a doubt, the highest percentage of threat for any large group of mammals and for any large group of vertebrates,” he said. Professor Christoph Schwitzer from Bristol Zoological Society and deputy chairman of the Primate Specialist Group, told the BBC: “More and more, we are seeing unsustainable levels of lemur poaching. The findings will go through a peer review process before the Red List is officially updated to reflect them. The IUCN already has a “lemur action plan” to save the animals, which includes protecting habitats where the most threatened species live and tackling poverty through ecotourism schemes to help local people to avoid hunting the animals. 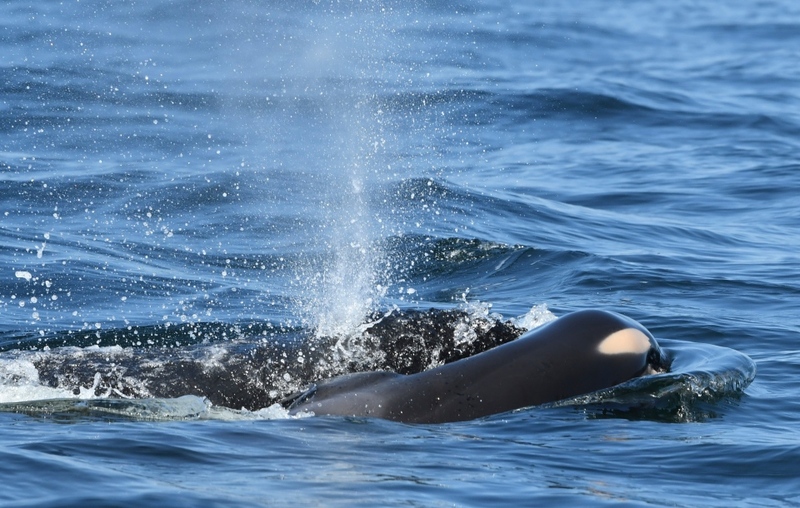 SEATTLE – The first calf born in three years to the endangered orcas that spend time in Pacific Northwest waters died Tuesday, the latest troubling sign for a population already at its lowest in more than three decades. “The baby was so newborn it didn’t have blubber. It kept sinking, and the mother would raise it to the surface,” he said Wednesday. The distinctive black-and-white orcas have struggled since they were listed as an endangered species in the U.S. and Canada over a decade ago. They’re not getting enough of the large, fatty Chinook salmon that make up their main diet. They also face overlapping threats from toxic pollution and noise and disturbances from boats. Female orcas have been having pregnancy problems because of nutritional stress linked to lack of salmon. A multi-year study last year by University of Washington and other researchers found that two-thirds of the orcas’ pregnancies failed between 2007 and 2014. “On average we expect a few calves born each year. 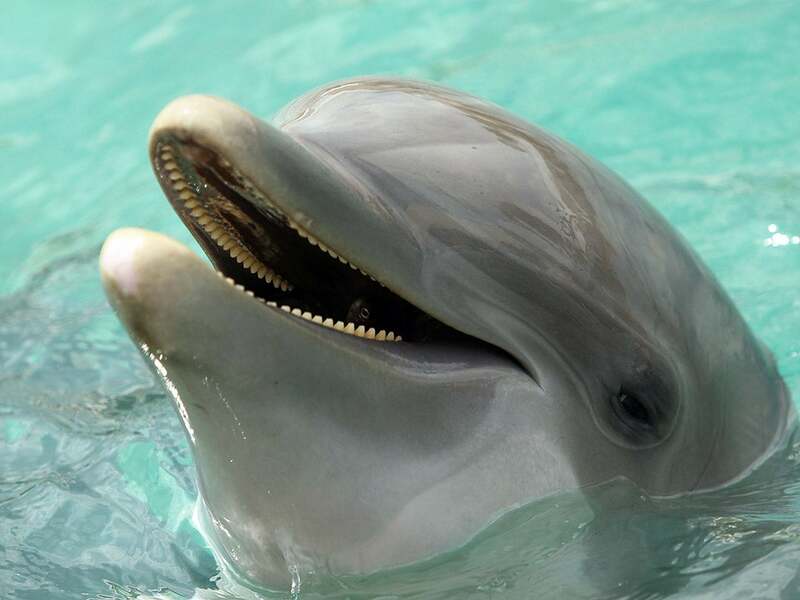 The fact that we haven’t seen any in several years and then to have reproductive failure is further evidence that we have a severe problem with the reproductive viability in the population,” said Brad Hanson, a wildlife biologist with the Northwest Fisheries Science Center in Seattle. Hanson said she looked thin and “clearly emaciated” when he and others observed from a boat Saturday near San Juan Island while collecting the whale’s breath samples. 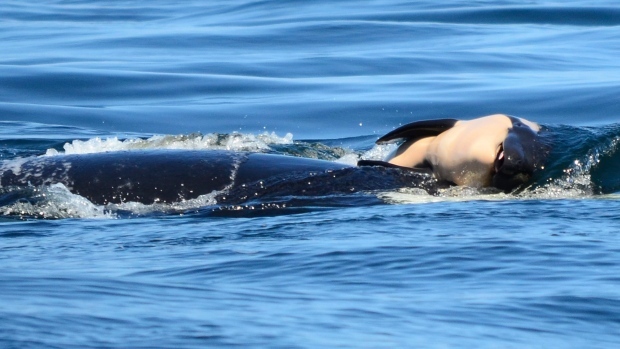 Another researcher, Deborah Giles, who was out studying the whales had alerted Hanson to a foul odour on the orca’s breath, a smell detected on other orcas that later died. But the whale did not smell as bad on Saturday. “The death of the orca calf is a heartbreaking reminder of the urgency we face in saving these iconic animals,” the governor’s spokesman Jaime Smith wrote in an email.